OSLO is a powerful Optical design program with the scope you need. OSLO (Optics Software for Layout and Optimization) is a powerful optical design program with the scope needed to meet today’s optical design requirements. 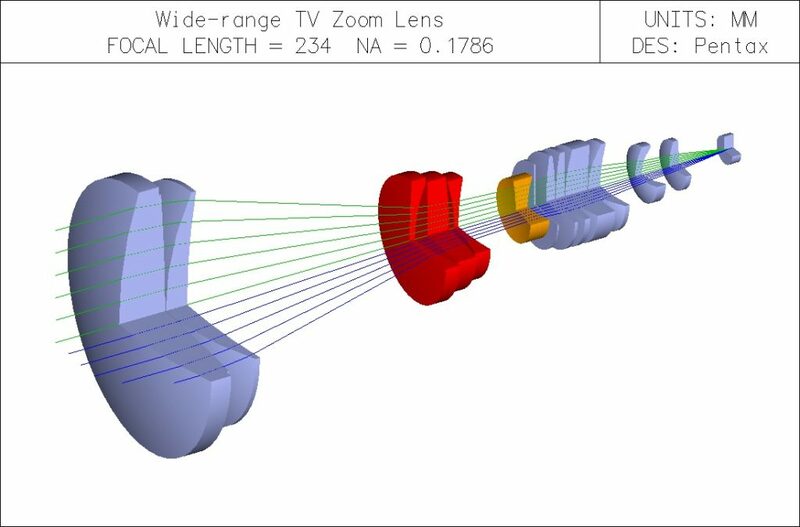 In addition to classical lens design features, it combines advanced ray tracing, analysis, and optimization methods with a high-speed macro language to solve a wide variety of new problems in optical design. It is primarily used in lens design to determine the optimal sizes and shapes of the components in optical systems. It has the capability of modeling a wide range of reflective, refractive and diffractive components. 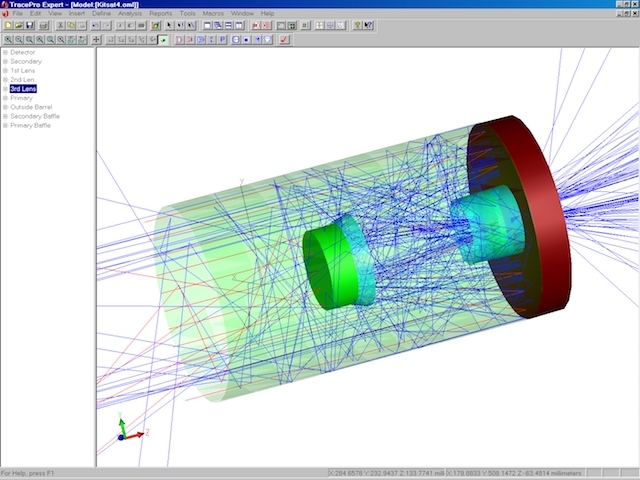 In addition, it is used to simulate and analyze the performance of optical systems. 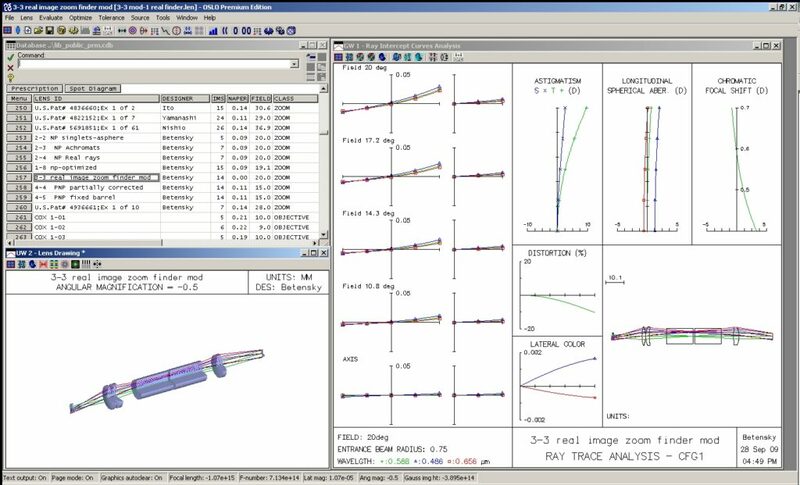 With it’s CCL programming language, you can develop specialized design and analysis software tools for modeling, testing, and manufacturing optical systems. It provides an integrated software environment that helps you complete almost any task in contemporary optical design. 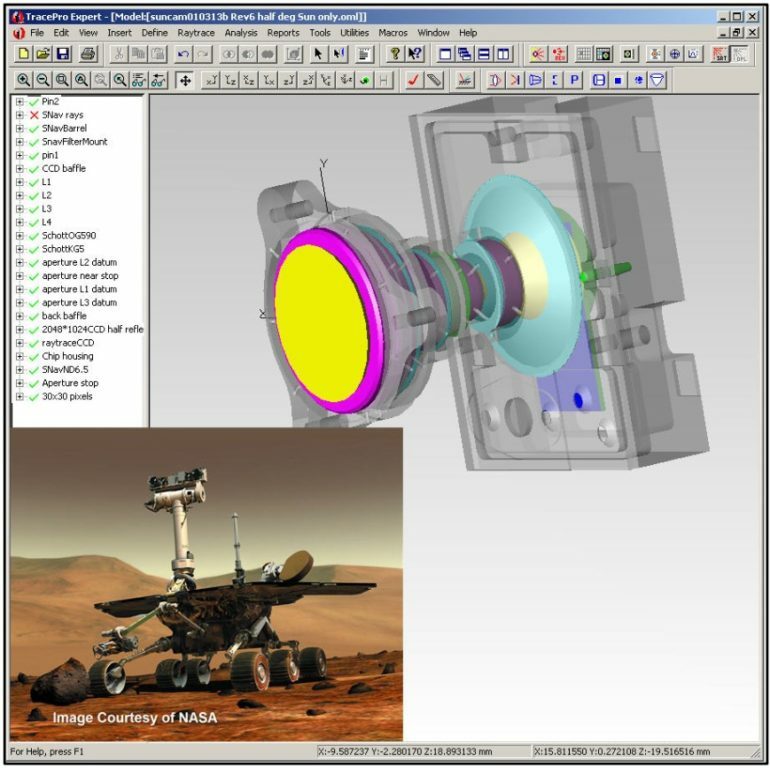 More than a lens design program, it also provides advanced tools for designing medical instrumentation, illumination, aerospace and defense systems as well as telecommunications equipment. Why is OSLO the Technology Leader? It was the first software to demonstrate that serious optical lens design could be carried out using desktop computers. Today, it has been accepted as a standard tool by companies throughout the world that use it to create better, lower-cost designs and manufacture them more efficiently. But optical design today goes far beyond the range of problems handled in the past. Now, optical systems are integrated with electronics and image processing software creating new design alternatives. It’s technological leadership in optical design software is more valuable today than ever before. What are the different editions of OSLO and how do I download the free OSLO EDU edition? Our optical design software is available in three editions called Premium, Standard and Light, You can download the OSLO brochure using the link below that has an editions comparison chart on page 3 . The feature set in each edition is a subset of the features found in the next higher edition. Each edition is a full-featured program that can help you design superior systems. A free edition (OSLO EDU) is available in the Education section but is limited to 10 surfaces. OSLO works seamlessly with our TracePro software to provide a complete and comprehensive design environment. 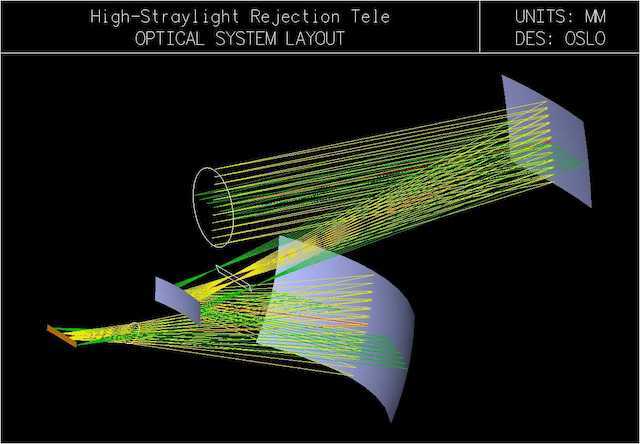 TracePro and OSLO are robust tools for designing and analyzing optical systems for aerospace and defense applications. Both have been used to design and analyze many notable NASA optical systems, including the James Webb Space Telescope, the Mars Rover cameras, and the Terrestrial Planet Finder Coronagraph. TracePro offers designers of military, aviation, and homeland defense systems an incredibly accurate and comprehensive design environment. The unique nature of these applications requires a tool with the versatility to simulate optical systems operating at wavelengths ranging from the extreme ultraviolet, through the visible and infrared, and out to millimeter waves. TracePro is also used to design baffles for analyzing and suppressing stray light due to scattering, diffraction, ghost images, as well as self-emission of infrared and longer wavelength systems. Feature Highlights. Explore OSLO’s many features for optical design. Compare Editions. See which edition meets your design needs. Current Releases. Go to the current release for downloading. Optical System Setup. Set up an optical system for optimization or analysis. Surface Types. View the many types of optical surface supported by OSLO. User Interface. Discover the versatile user interface. Optimization. OSLO offers many optimization methods to solve your design problem. Source and Illumination Analysis. Analyze image quality with point sources, simulate real sources, or calculate vignetting. Import/Export. Import files from other optical design software and export CAD files. Catalogs and Libraries. OSLO has built-in glass catalogs from the world’s optical glass makers, a library of components from popular suppliers, and a large database of optical designs. Advanced Features. Advanced features are available to design unusual optical systems. Zooms. OSLO has powerful features for designing zoom or other multi-configuration systems. Tolerancing. Complete and thorough tolerance analysis ensures your design can be built cost-effectively. Standard Analysis. Standard analysis that every optical designer needs is available here. Examples. Many examples for getting started in designing with OSLO and writing macro programs are provided. Tutorials. Detailed tutorials are available to get you up to speed. Literature. Detailed tutorials are available to get you up to speed.